Home / herbs / How Many Kinds of Lavender Are There? I used to think that Lavender was Lavender and that there was only one sort. I was so wrong. 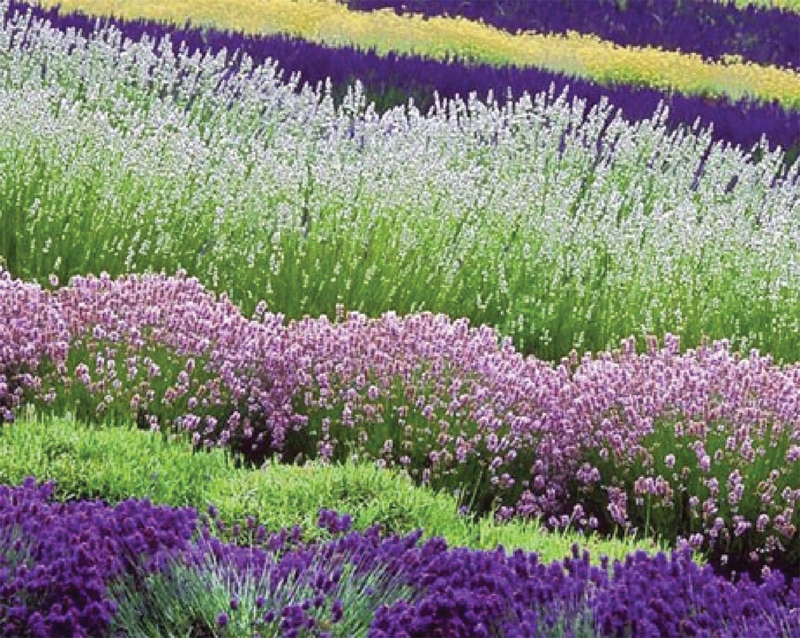 Have you ever visited a Lavender Farm when in full bloom? I have visited Sunshine Lavender Farms which is North of Hillsborough, NC. The picture above illustrates the field of Lavender that I saw with many cultivars of Lavender growing and ready for Harvest at their annual Lavender Festival. There was the traditional English Lavender ( lavender augustafolia) and Spanish Lavender and French Lavender. There is also cultivars of Lavendins, Lavender Grosso, Lavender Provence, Bulgarian Lavender, Lavender from Hungary and Spike Lavender. It’s enough to make your head spin a bit and all these Lavenders have different varieties of scent. Marge Clark from Nature’s Gift gave a talk about the different kinds of Lavender and she passed around scent sticks of about 5 different kinds of Lavender and the differences were amazing. What she said pointing out was to make sure what we as soapmakers and beauty product makers were purchasing. Not to just purchase Lavender Essential Oil but what is the botanical name and what country was it grown in as this impacts what one is really buying. Harvests vary from year to year even if grown in the same region due to the weather- rain, sun etc etc. We all realized how important that was afterwards and how we all need to sample and do research before buying. Lavender Essential Oil has had a long tradition in aromatherapy. Rene-Maurice Gattefosse who first coined the term aromatherapy, was working in a perfumery business where he got a severe burn. The story goes that he stuck his hand in a vat of Lavender essential oil and as a result was able to soothe his hand quite rapidly and the oil also helped to prevent scarring. So Lavender was there at the start of modern day aromatherapy.